Scooter front wheel and tyre. Mounting for 3 bolt brake rotor with 69mm between bolt centres. Uses 12mm axle. 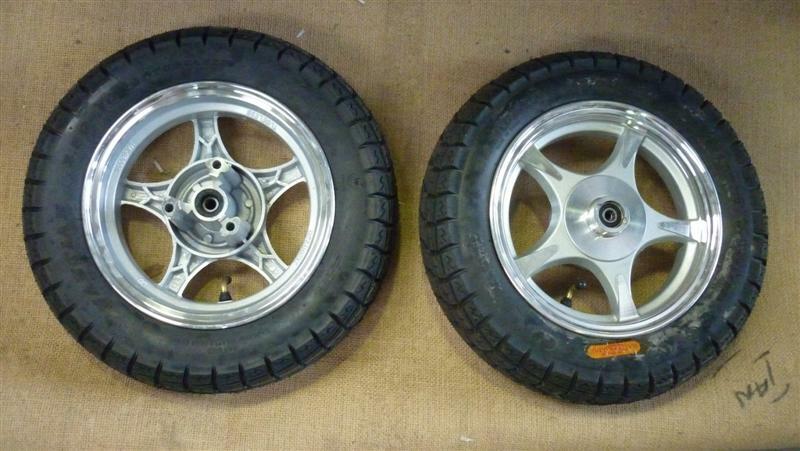 3.50 x 10" tyre.